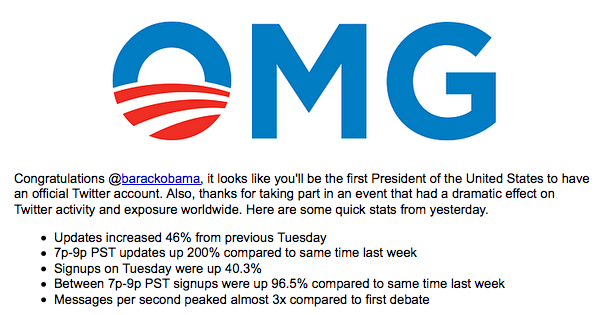 Via Torrentfreak, Obama’s speech was a hit on bitTorrent. Interest in the speech was not simply limited to the United States. A more detailed look at the geographical location of the people who downloaded the file via BitTorrent, shows that more than half of them come from outside the United States. However, the remaining 46.2% is a significantly greater share for US downloaders than for the average TV-show release. Quick post to point you to Twitter’s blog, which just posted some stats from yesterday. Just a few interesting photos from yesterday on Flickr. Click here to go to some more pics. 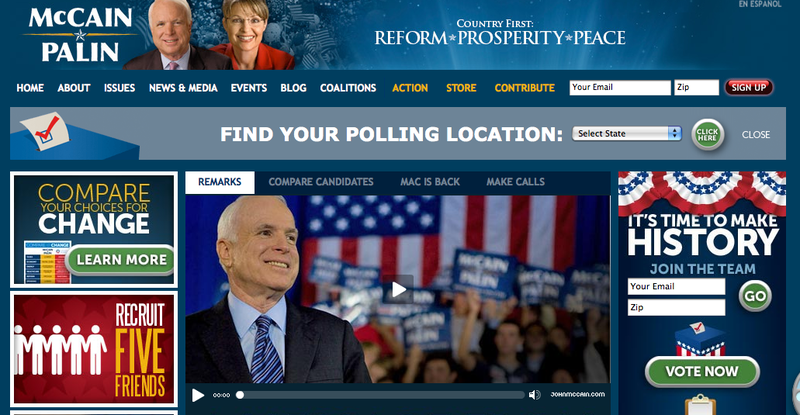 I’d like to believe Facebook helped mobilize several people to show up in 2008’s election. 15 million users voted, and I think this is just beginning. With Facebook’s help, we should never expect to see a low voter turn out from young people. “Most Viral Tool” will have to the causes application. 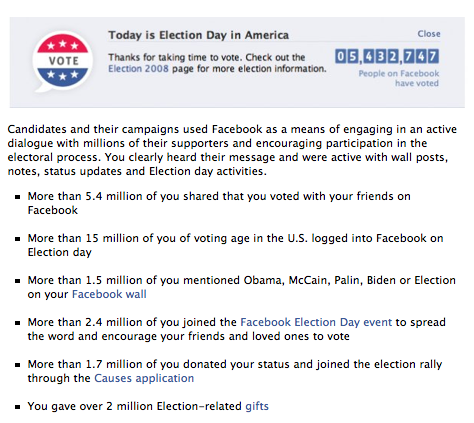 1.7 million people opted into this activity within 24 hours before the election. The users choose to change his or her status to show they are joining the cause, and the app places a link on the status to prompt others to join this cause. It’s future viral capacity is impressive. 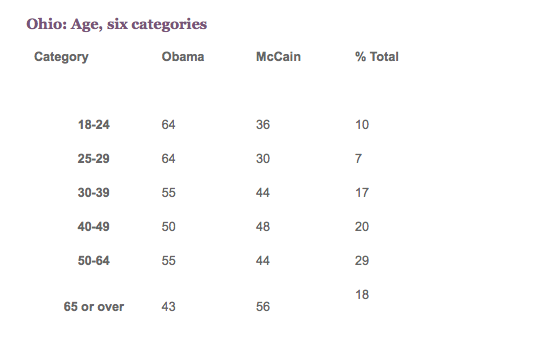 UPDATE: Facebook Lexicon Shows HUGE spike in wall posts about Barack. Not surprising, but look at that huge spike. My two favorite are the tweets from The Onion.